I’m posting this recipe while I’m sat by the window looking out onto a very cold, snowy garden. 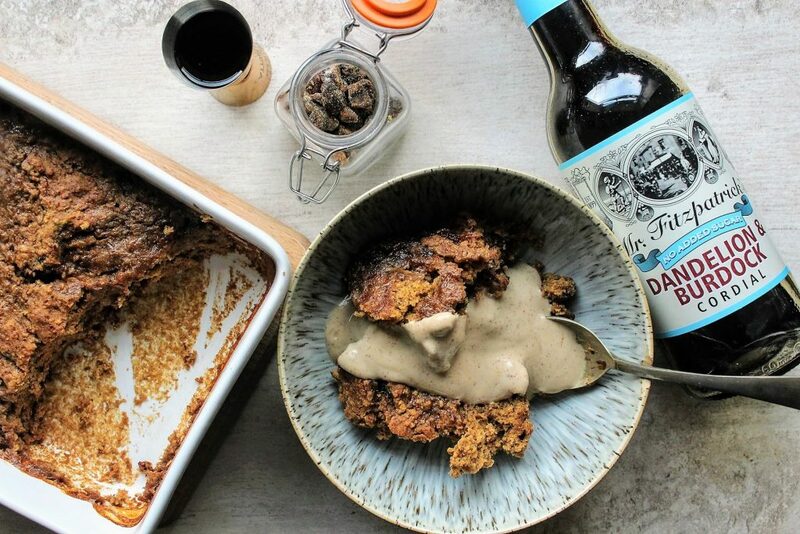 That’s right, the UK has been hit by the white stuff so it’s feeling very cosy indeed – and the perfect timing for a warming recipe like this one! Working once again with Mr Fitzpatrick’s Vintage Cordials, when I thought about what would work with the distinct taste of the classic Dandelion & Burdock drink I thought, CARAMEL. 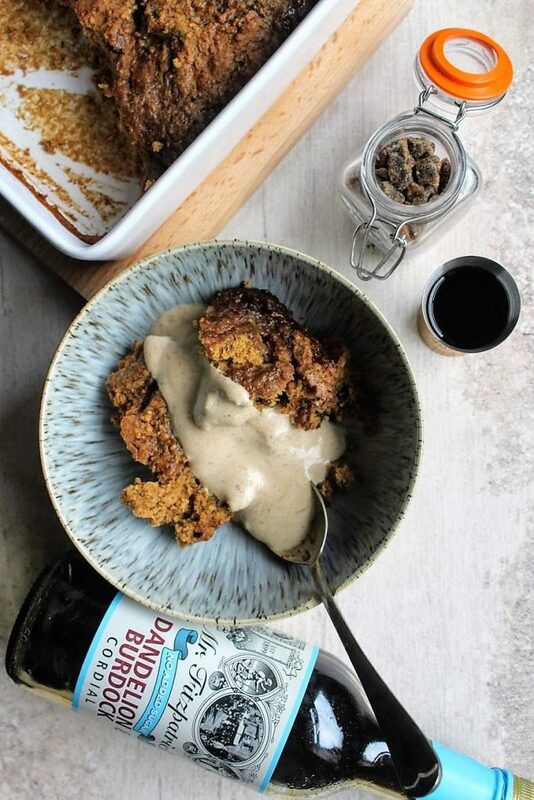 Rich, sweet and deep in flavour, my challenge was to create a healthy version of a sticky toffee pudding-like dessert using dates as the main ingredient, coupled with this cordial to boost the taste in both the pudding and the sauce. 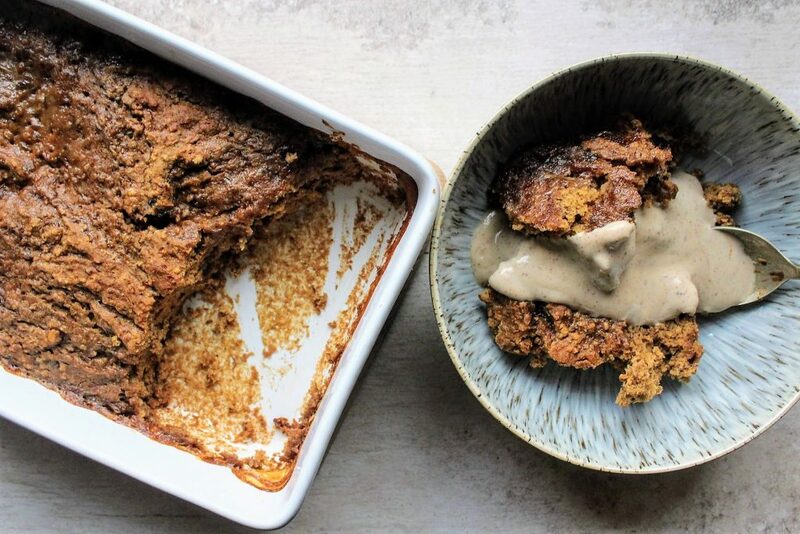 What’s even better is that this recipe is gluten-free, dairy-free, vegan and contains no refined sugar so EVERYONE can enjoy this indulgent dessert on a cold night! Preheat the oven to 180 degrees C and lightly grease an ovenproof dish. Place the dates in a small pan with the spread and pour in 100ml water. 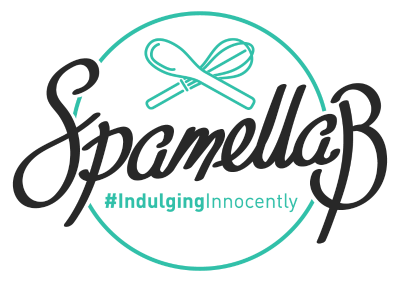 Bring to the boil, allow the spread to melt then remove from the heat and stir in the bicarb of soda and Dandelion & Burdock cordial. Set aside. Mix together the flaxseed and water and set aside for 5 minutes. In a bowl stir together the flour, coconut sugar and cinnamon then pour in the date mixture along with the flaxseed mixture and vanilla. Stir well and mix until smooth. Spoon into the dish evenly. 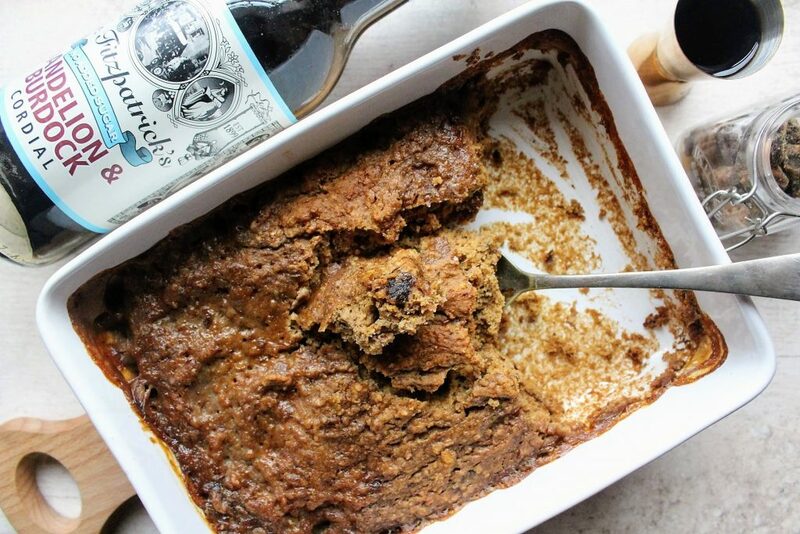 Heat the milk and coconut sugar on a medium heat until the sugar as dissolved then whisk in the cordial. Pour this over the whole mixture then bake for 25-30 minutes until the sauce has baked through. Enjoy hot or cold!